MLT Vacations said its Minot, N.D., headquarters and its employees have been impacted by the flooding that forced the evacuation of 12,000 residents of Minot, but the company has adopted contingency plans that will enable it to remain in full operation. While the company’s operations center is not in the flood zone, there is the risk that a loss of infrastructure and essential services in Minot will impact the center. For that reason, MLT Vacations is implementing contingency plans that will allow it to continue to operate even in a worst-case scenario. MLT Vacations is one of the largest providers of vacation packages in the United States, and manages multiple vacation brands, including Delta Vacations, Continental Airlines Vacations, United Vacations and Worry-Free Vacations. Through its airline partnerships, MLT Vacations is able to offer the lowest available airfares, plus discounted hotel rates at thousands of hotels worldwide, sightseeing excursions and activities, bonus miles for travelers through frequent flyer programs and a best price guarantee. 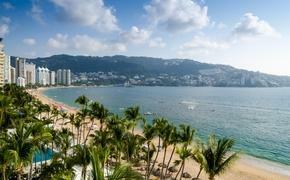 For more information, call 800-727-1111 or visit www.worldagentdirect.com or www.mltvacations.com.